The results of the Common Entrance Examination for Design (CEED 2016) will be declared on March 19 as per the official website. The exam was conducted on December 6 and earlier the CEED 2016 results were supposed to be announced on January 15 but were delayed due to various reasons. 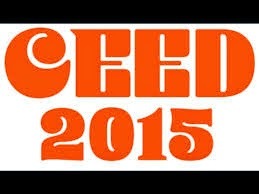 CEED 2016 was conducted by IIT Bombay on behalf of the Ministry of HRD, Government of India. The Common Entrance Examination for Design (CEED) is a qualifying Examination for Admission to Master of Design (M.Des) Programs at IISc Bangalore, IIT Bombay, IIT Delhi, IIT Guwahati, IIT Hyderabad and IIT Kanpur and PhD Programs in Design in some Institutes, for the Academic year 2016. The objective of CEED is to assess the candidates’ aptitude for design involving visual perception ability, drawing skills, logical reasoning, creativity and communication skills. After the declaration of the results, CEED score cards will be made available for downloading on the official website. No hard copy of the score card will be sent to the candidates. The CEED score will be valid for one year from the date of declaration of results.